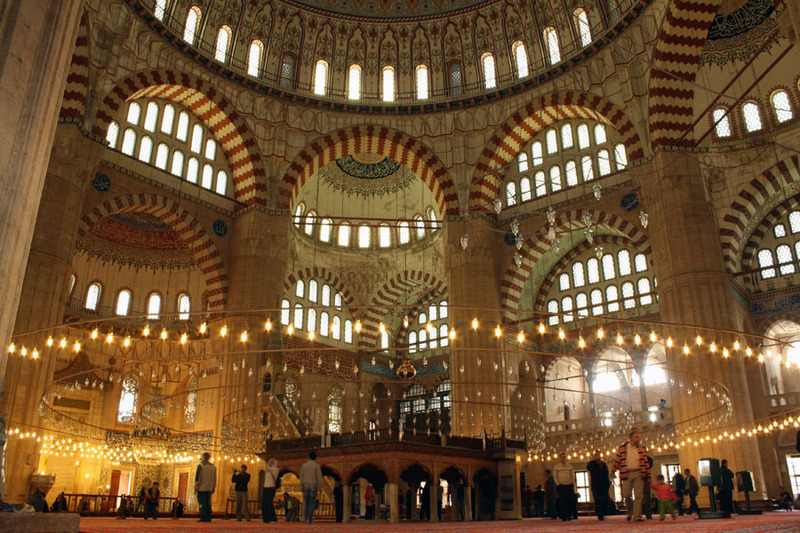 One of the most important monuments in this ancient province is the Selimiye Mosque, built in the 16th-century by the greatest Turkey’s greatest architect, Mimar Sinan. Carrying the name of the then reigning the Sultan, this mosque magnificently represents Turkish marble handicrafts and it is covered with valuable tiles and fine paintings. The Yildirim Mosque and the Eski Mosque, dating back to the 14th and 15th centuries respectively, are other spectacular sights while the Muradiye Mosque and the Üç Serefeli Mosque are also among the oldest and most impressive buildings. Last to be mentioned is the Beyazit II Mosque, a great monument with its complex construction comprising many facilities used in those times. 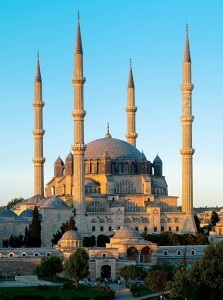 Besides the fascinating mosques, there are different sites to be visited in Edirne, all reflecting its rich past. There are attractive palaces, the most prominent one being the Edirne Palace, which was the “Palace of the Empire” built during the reign of Murat II. There are the amazing caravansaries, like the Rustem Pasha and Ekmekcioglu Ahmet Pasha caravansaries, which were designed to host travelers, in the 16th century. Ipsala, is a district center of Edirne province and it is Turkey’s second important border gate, on the European frontier. It is a wildfowl paradise enjoyed by both Turkish and foreign sportsmen.